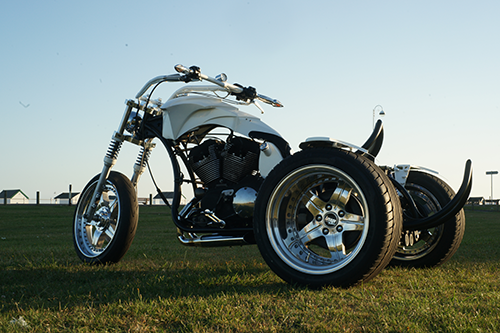 This Trike was purpose built for a customer that had already purchased a Harley Davidson 1200 Sportster and a Landrover Freelander. The customer required us to use these two vehicles to build this epic trike in the design style the required. 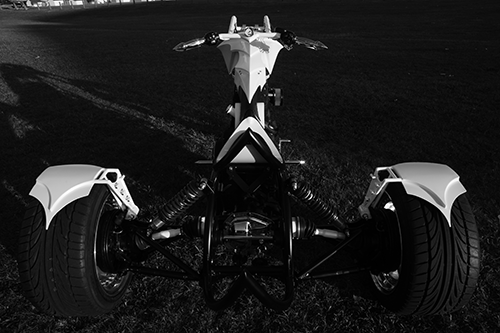 The end result is the stunning trike you can see in the images. 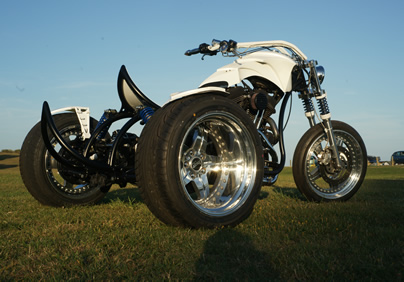 The trike ended up being featured in Backstreet Hero Magazine.